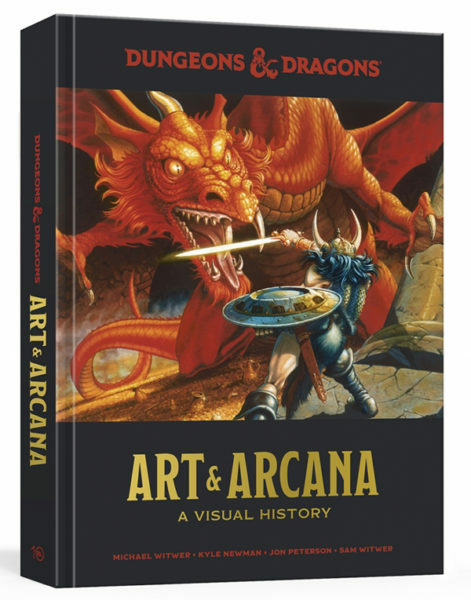 From Empire of Imagination author Michael Witwer, joined by Kyle Newman, Playing at the World‘s Jon Peterson, and Michael’s brother Sam, Art & Arcana is a very comprehensive look at the visual history of Dungeons and Dragons. Starting from the beginnings of the original game and going up through the current 5th edition, this book is absolutely crammed full of artwork! The accompanying text is not too bad a read, though the text size was a tad small for me. Also, I did appreciate the slight ribbing at the 3rd, 3.5, and 4th edition rules and the exaggerated artwork that came along with it (seriously, I CANNOT stand Wayne Reynold’s artwork! ), but glad it wasn’t too overbearing. I bet there’s plenty of artwork you’ve never seen before, and it was nice to re-visit some of my favorite pieces from David Trampier, Erol Otus, and Jeff Easley!